It looks like Microsoft might be trying out another Xbox LIVE Gold exclusive benefit with the Xbox One. 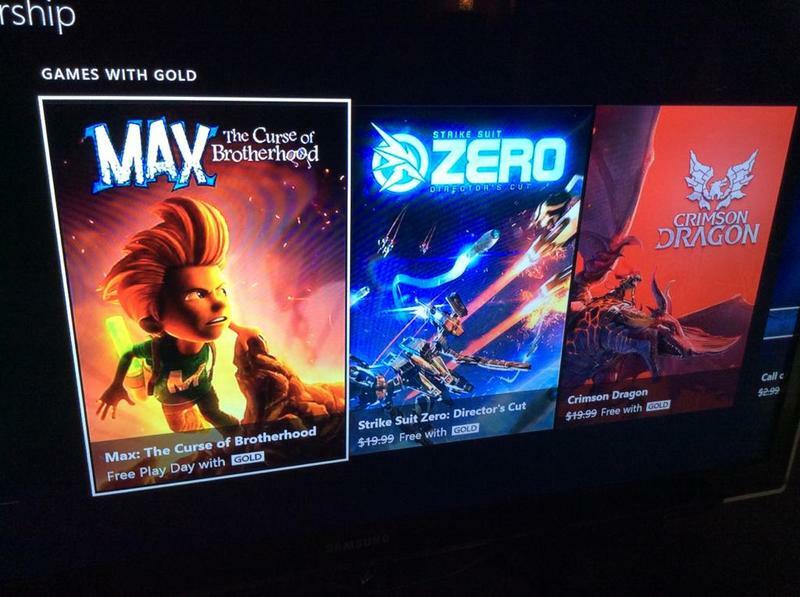 It's called "Free Play Day with Gold," and it sounds like trial access to popular games. Redditor JBurton90 spotted the tag on the Xbox One and submitted a thread with this picture. Look below Max: The Curse of Brotherhood. A few users hit the Xbox Support Twitter account with screenshots like the one above. The official response reads like "huh, that shouldn't be there yet." So, expect an official announcement shortly, folks. The Free Play Day with Gold, based only on assumptions and reading comprehension, might offer exclusive access and demos to specific games. My first thought, and maybe I'm crazy, is that this might be a cheapskate's way to beat a full game in a single day for free. Of course, it would be smart for Microsoft to hide Achievements and such behind the pay wall with this one. What do you think of the rumored feature? Yea or nay?